As Guest Day Editor, Siel, a.k.a Green LA Girl, will be joining LAist with a few posts throughout today. Read her interview here and check out her site. Then get off the Direct Marketing Association&apos;s list — free if you mail in the form, or a buck if you do it online. No, this step won&apos;t stop the Val-Pak or ShopWise or any of the other local coupon packets, if you wanna keep those. What you will stop is the totally random junk mail that seemed to come outta nowhere. Give it a few months to kick in though — DMA&apos;s kinda slow. 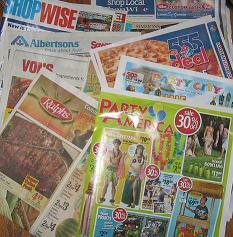 Now, if you&apos;re ready, ditch the local coupon lists — Val-Pak, ShopWise, Pennysaver (call 800.422.4116), Local Community Values (call 626.472.5377), and Money Mailer. Yes, you do actually have to contact all of &apos;em separately to get off their lists — but hey, at least you have me to link you to their de-listing pages. At this point, you can say bye-bye the individual stuff, whether it&apos;s J.Crew or Dell or LensCrafters (email CUSTINFO@lenscrafters.com) or Bed Bath and Beyond (call 800.462.3966) or whoever. For most, it&apos;s easiest to call the customer service line, then wait to get hold of an actual person who can take your name off the list. If you&apos;re really pissed off &apos;bout junk mail, you can sign on to New American Dream’s “Declare Your Independence from Junk Mail” page. And if you really want off the lists but the above seems way too time consuming for you, pay companies like Green Dimes or 41pounds to do the de-junk-mailing dirty work for you.